Berni Julian Alder is an American physicist specialized in statistical mechanics, and a pioneer of numerical simulation in physics. Alder was born in Duisburg, Germany to Jewish parents, a chemist and a homemaker. After the Nazis came to power, the family moved to Zurich, Switzerland. Fearing invasion by Nazi Germany after the outbreak of World War Two, the family applied for a visa to the United States, which was granted in 1941. They left by sealed train from neutral Switzerland to (formally neutral) Spain, then to Portugal where they took a ship to the USA. Following a stint in the US Navy after US entry into the war, he obtained a B.Sc. in Chemistry from the University of California at Berkeley and a master's degree in chemical engineering from the same institution in 1947. He went to the California Institute of Technology to study under John Gamble Kirkwood for his PhD in 1948 and worked for the investigation of phase transitions in hard-sphere gas with Stan Frankel, where he got the idea to use the Monte Carlo method. 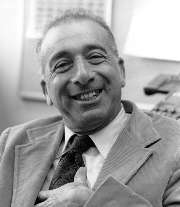 After he finished at Caltech in 1952, he went to Berkeley and worked part-time at Berkeley to teach chemistry and part-time as a consultant under suggestion of Edward Teller in the nuclear weapons program for the Lawrence Livermore National Laboratory to help with the equations of state. In collaboration with Thomas Everett Wainwright, he developed techniques for molecular dynamics simulation in the mid-1950s, including the liquid-solid phase transition for hard sphere and the velocity autocorrelations function decay in liquids. Alder, along with Teller, was one of the founders of the Department of Applied Science in 1963. He was a professor of Applied Science at the University of California at Davis, and is now Professor Emeritus. In 2001, he was awarded the Boltzmann Medal for inventing technique of molecular dynamics simulation. He was elected a Fellow of the American Academy of Arts and Sciences in 2008. In 2009, he was awarded the National Medal of Science. Alder was a Guggenheim Fellow. He was the editor of the book series Methods in Computational Physics and the founder of the magazine Computing. ↑ Sleezman, Elizabeth, ed. (2004). The International Who's Who 2004. England: Europa Publications. p. 26. ISBN 1857432177. 1 2 3 4 "Interview with Berni J. Alder" (PDF). CECAM. Retrieved 24 September 2014. ↑ Alder, B. J.; Wainwright, T. E. (1959). "Studies in Molecular Dynamics. I. General Method". Journal of Chemical Physics. 31 (2): 459. Bibcode:1959JChPh..31..459A. doi:10.1063/1.1730376. ↑ B. J. Alder and T. E. Wainwright (1957). "Phase Transition for a Hard Sphere System". J. Chem. Phys. 27 (5): 1208. Bibcode:1957JChPh..27.1208A. doi:10.1063/1.1743957. ↑ B. J. Alder and T. E. Wainwright (1962). "Phase Transition in Elastic Disks". Phys. Rev. 127 (2): 359–361. Bibcode:1962PhRv..127..359A. doi:10.1103/PhysRev.127.359. ↑ B. J. Alder and T. E. Wainwright (1970). "Decay of the Velocity Autocorrelation Function". Phys. Rev. A. 1 (1): 18–21. Bibcode:1970PhRvA...1...18A. doi:10.1103/PhysRevA.1.18. ↑ "UCD professor emeritus to receive National Medal of Science at White House next month". Davis Enterprise. September 22, 2009. Retrieved January 13, 2013. ↑ "Book of Members, 1780-2010: Chapter A" (PDF). American Academy of Arts and Sciences. Retrieved 14 April 2011. ↑ "Berni Alder receives National Medal of Science". Lawrence Livermore National Laboratory. 2009-09-18. Retrieved 2010-02-12.